GREEN BAY — Packers rookie RB Don Jackson has been on an active NFL roster for all of a few hours, and he’s going to get his first NFL start tonight at Lambeau Field against the Chicago Bears. Jackson, an undrafted rookie from Nevada, was signed to Green Bay’s active roster when RB Eddie Lacy was placed on injured reserve earlier Thursday. Head Coach Mike McCarthy said earlier in the week that Jackson was taking reps in practice just in case he’d be needed. Well, he’s needed now. For a rundown on Jackson’s credentials, click here. Other options for the Packers in the offensive backfield include new acquisition Knile Davis as well as WRs Ty Montgomery and Randall Cobb. Click here for a feature story on Davis’ arrival via trade this week. Also for the Packers, WR Davante Adams is active after spending the early portion of the week in the concussion protocol. For the Bears, former Packers G Josh Sitton (ankle) is inactive and will not play in his return to Lambeau Field, but LB Pernell McPhee, who began the season on PUP, has been activated and is expected to play. Not including Thanksgiving games, the Packers are 5-4 all-time in Thursday night games, having won four straight. Their last loss in a non-Thanksgiving Thursday night game was at Dallas in 2007. 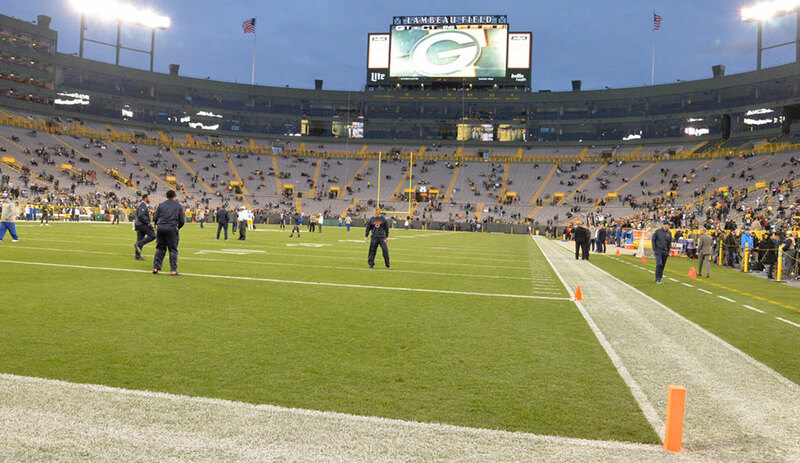 Last year on Thanksgiving night, the Bears came into Lambeau Field and beat the Packers. Weather update: It’ll be a cool, crisp evening in Green Bay. Temperature at kickoff is expected to be around 45 degrees, dropping to the low 40s by late in the game. There’s no rain in the forecast and light winds. Around the NFC North: On Sunday, unbeaten Minnesota (5-0) is coming off its bye with a road game at Philadelphia (3-2). The Eagles have lost two straight after a 3-0 start. Also, Detroit (3-3) has won two straight and hosts its third straight home game against red-hot Washington (4-2), which has won four in a row after an 0-2 start.